There’s a good chance that if you’ve owned a car, you’ve had to deal with some sort of breakdown. When something goes wrong with our cars, often old or broken parts need replacing with new ones to get it back on the road functioning properly. If you do need to replace certain parts, you’ll discover that there are broadly two types of car parts, genuine manufacture parts and aftermarket parts. Before investing in either, it is very important that you know the big differences between the two so that you can make an informed decision on your car and bank balance. So, here’s all the differences you need to know between genuine and aftermarket parts. The first and most important difference between these two types of car parts is the way in which they are produced. This is because the way they are produced informs every other difference. Genuine are called genuine because they are official replacement parts. They are produced on the same production lines as the very car you drive, meaning they are specifically designed for your individual model. Aftermarket parts are created in different factories by companies who buy the rights to create parts for a number of different car manufacturers. Often, aftermarket parts are created to be more versatile than genuine parts. Instead of being designed to fit one model, they are produced to operate in a number of models. Because of the differences in how each type of part is produced, the quality and output of genuine and aftermarket parts can differ. We decided to get an expert opinion from genuine Volkswagen parts dealer VW Motor Parts, who told us, “The key difference is that quality can vary massively in aftermarket parts. However, genuine parts always remain at the same high standard. It’s fair to suggest that we are all concerned with safety in our cars, it’s completely rational. It is for this reason that Euro NCAP exists so that we can feel assured that the car we’ve purchased can adequately protect us against any potential accidents. Obviously, when cars go through their initial safety tests and are awarded safety ratings, they are the exact same models which we would by fresh off the forecourts. Therefore, when replacing car parts with genuine parts, you are essentially restoring a broken car to its most safe incarnation. However, when selecting to repair your car with aftermarket parts, there is a chance that you jeopardise this. Take a look at this piece by Your Mechanic, which describes that buying a second-hand car which has been repaired previously with aftermarket parts is more dangerous than buying a car which retains entirely genuine parts. Another thing which separates aftermarket and genuine car parts is their face value costs and their potential collateral costs. One of the big draws of aftermarket parts is that they are commonly cheaper than genuine parts. This is particularly relevant if you need to replace a number of body panels or a large engine part where the gulf in costs might be particularly wide. However, the problem arises when you consider the quality of aftermarket parts. As mentioned above, they are known to be of a lesser quality than genuine parts. Ultimately, this means that they are potentially at greater risk of breaking or causing troubles to your car earlier in their lifespan than genuine parts. All in all, this might mean you actually spend more money opting for aftermarket parts. There is also the added concern over things like a warranty. Warranty is brilliant, as it saves us from forking out a potentially large amount of money if something goes wrong with our new cars. However, if you decide to repair a car, which is under warranty, with aftermarket parts, you run the risk of potentially voiding it. Different warranty deals have different takes on aftermarket parts, but some manufacturers would prefer you to repair their car with genuine parts. In short, check your warranty agreement before committing to any repairs. Take a look at this post from Consumer Reports which looks into this issue in much more depth. All in all, both aftermarket and genuine parts have their positives and negatives, It really comes down to what suits each individual driver and their particular needs. 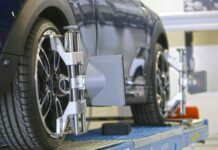 Do You Need to Have Your Wheels Aligned? Is Your Car Covered for Hail Damage?